Learn History of Tibetan Buddhism, Listen Tibetan Chant , Tibetan Buddhist Mantra and Meditate in Dharamsala with Tibetan Monks , Tibetan Rites ! 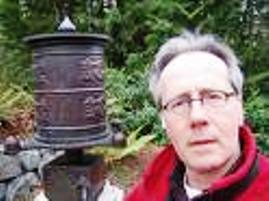 Recite 'Om Mane Padme Hum' with the Tibetan Drums, Tibetan Ceremonial Bronze Bell ! Tibetan Buddhist Prayers at Tibetan Alter with Tibetan Prayer Bowl in Dalai Lama Retreat !! The essence of Tibetan Buddhism in Dharamsala..Dalai Lama's Abode was greatly influenced by Buddhism as practised in India and Nepal. 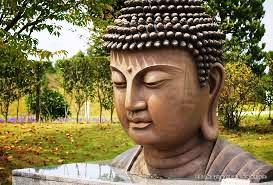 The Buddha is a key figure in the religion of Buddhism anywhere. Prince Siddartha..Gautama Buddha ( approx. 563 BC-483 BC) was born a Hindu in the Kshatriya caste of warrior aristrocrats, in the Shakya clan's village of Kapilvastu in the foothills of the Himalayas...now known as 'Lumbini' in Nepal. Siddartha married and had a son, but at age of 29, he left the Palace in search of salvation of the soul..after witnessing a dead body, old age person and a diseased beggar outside his Palace. He lead a life of an ascetic and wandered around in search for answers!! Around 528 BC he concentrated on meditation under a 'Bodhi Tree' in Bodhgaya and realised the 'Middle Path' which is the base of Dalai Lama's Tibetan Buddism in Dharamsala, India. This 'Enlightenment' is called ..'A State of Bodhi' and hence the name 'Buddha' or 'The Enlightened One' was given to him by his followers! For the remaining 45 years of his life he travelled the Gangetic Plain of Central India teaching and founded the community of Buddhist Monks and Nuns.. the Sangha to continue His spiritual teachings after his body had become one with the universe.This was necessary to ensure the name of Buddha to be spread all over the world. 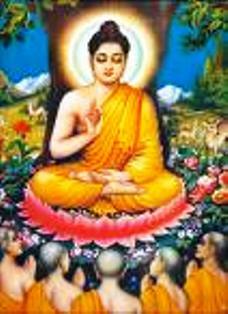 Buddha died at Kushinagar, India at the age of 80. His last meal was 'sukara-maddava' and His last words were "All things which are made of parts eventually come apart. Be mindful and achieve Enlightenment!" The rituals of Tibetan Buddhism along with the concept of Universal Peace and Compassion have their roots in Buddha's Middle Path Philosophy. Tibet's oldest spiritual tradition is Bon religion. 'Tonpa Shenrab', the founder of this religion, said to have been born in the mythical land of Olmo Lung Ring, renounced the world at the age of 30. Like all 'Bodisattvas' he lead a life of austerity and helped people out of their misery and suffering. During his time he arrived in Tibet in the region of Mount Kailash known as 'The Land of Zhang Zhung'...the historical principal seat of Bon Culture and doctrine. Today, His Holiness the Dalai Lama in Dharamsala the Head of Tibetan Buddhism has stressed the importance of preserving the traditions of Bon religion as the indigenous source of ancient Tibetan culture. The doctrine taught by Tonpa Shenrab are classified into two types..'The Four Portals and One Treasury' and 'The Nine Ways of Bon.' The Nine ways of Bon is further synthesised into three : The first four as the 'Casual Ways', the second four as the 'Resultant Ways' and the ninth one as the 'Way of Great Completion!' These are all contained in the Bon Canon compromising more than 200 volumes under four sections. The 'Sutras'..the 'Prefection of Wisdom'.. the 'Tantras'..and last is 'Knowledge'. With the increasing patronage of Tibetan Buddhism, Bon religion was not into practice from the 08th to the 11th century. 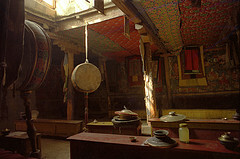 However from the 11th century it emerged again inspite of Rituals of Tibetan Buddhism with the efforts of Bon scholars. Menri and Yungdrung in Tibet and Tashi Menri Ling in Himachal Pradesh, India are famous Bon monasteries for study of this religion today. To really enjoy Dharamsala, it is important to understand some of the traditions of Tibetan Buddhism as it is practised in this small township of Dharamshala under the the Dalai Lama mentoring. The Buddhist mantra in Tibetan script - 'OM MANI PADME HUM !' is the famous Buddhist chant which has all the essence of Tibetan Buddhism and is the true 'Dharma' in our daily lives today. 'OM'.. is composed of three letters - 'A', 'U' and 'M'. These symbolise the body, speech and mind of a pure Enlightened Buddha. 'MANI'..an Exalted Jewel symbolises the spiritual intention to attain Enlightenment of the Perfect Mind and a Heart full of Compassion and Love. 'PADME'..the Pure Lotus flower symbolising Wisdom and Perception just like a Lotus can grow in the dirty stagnant water...still maintaining its beauty and purity.. so can Wisdom of the Mind help us in removing the negative influence and ignorance which surround us. 'HUM'..An indivisible unity of Karma and Dharma. The sublime immovable result of coordinated action and enlightenment. It is said you should not seek Buddha outside yourself, the substance for achievement of Buddhahood is within yourself. For more on Kalachakra Teachings & Mantras...Click Here ! 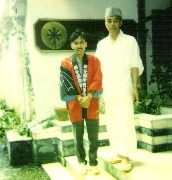 In our early days in Dharamsala we studied all the rituals of Tibetan Buddhism as one of our guests from Japan was a very High Buddhist Priest who had come to visit His Holiness the Dalai Lama. This initiation into Buddhism really helped us in organising our Buddhist Tours in the Himalayas! Buddhism came under the reign of King Lha Thothori Nyantsen in 173 C.E. King Song Tsen Gampo sent his minister Thonmi Sambhota to India to understand Sanskrit to develop a Tibetan script. Acharya Kumara and Brahmin Shankara from India along with the Nepalese Acharya Shilmanju began the translation and propagation of Buddhist teachings in the Land of Avalokiteshwara..the Bodhisattva of Compassion. In the Tibetan Buddhist tradition all Tibetan people are His descendants and whose ancestry can be traced back to the copulation of an Ape ( An emanation of Avalokiteswara ) with an Ogress ( An emanation of Goddess Tara ). Tibetan buddhism flourished under the reign of King Trison Deutsen after he had invited Abbot Shantarakshita and Acharya Padmasambhava from India to Tibet. They helped in making various monasteries. Padmasambhava founded the Samya Monastery and Nyingma Buddhism was introduced. Starting with King Tri Ralpachen who supported the Golden era of Tibetan Buddhism..there was prosperity everywhere. However His successor King Lang Darma did not support the Buddha teachings.At that time with the effort of Mar Sakya Yeshi, Yogejung and Tsang Rabsel it was regained once more and Buddhist community mutiplied in Western Tibet. However the most vigorous revival of Tibetan Buddhism took place in Western Tibet with the efforts of Lha Lama Yeshe O.. Gradually the the four schools of Buddhism arose - Sakya, Kagyu , Gelug and Nyingma. The tradition of Nyinmapa Buddhism has its roots in the teachings of Guru Padmasambhava who came to Tibet in 817 C.E. at the invitation of King Trisong Deutsan to help propagate Tibetan Buddhism. He hid hundreds of treasures in the form of scriptures, images and ritual articles which he said would only be revealed at a certain time when his disciples were prepared mentally to understand and accept them. However the Tantra teachings he gave to his 25 principal disciples were acts of spiritual accomplishments.. Namkhe Nyingpo, for travelling on beams of light, Khamdro Yeshe Tsogyal for reviving the dead, Vairochana for his intuition , Nanam Yeshe for soaring in the sky, Kawa Peltseg for reading others mind and Jnana Kumara for his miraculous powers. The Nyingma doctrine constitutes of the the lineage of revealed teachings of Padmasambhava , Tantric teachings of of many Indian saints Vimalamitra , Shantipa, Dharmakirti..., esoteric texts, the Dzogchen doctrine and the Maha Maya Cycle of teachings by Vairochana. 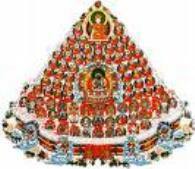 The Nyingmapa tradition in Tibetan Buddhism divides the entire Buddhist teachings into nine vehicles. The three common vehicles compromising of the Hearer, Solitary Realiser and the Boddhisattva. The three outer Tantras consist of Kriya Tantra which places greater emphasis on Disciplined behaviour. The Upa Tantra has a deep affinity and development of the soul and the Yoga tantra aimed at developing inner strength. The last three innermost Tantras - Maha Yoga emphasis on the generation stage in which the ordinary level of Human attachment is eliminated through sacred Vision. The last three innermost Tantras are exclusive ONLY to this School while the first six Tantras are common to others Schools of Buddhism also. 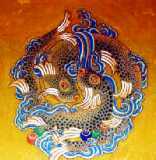 The Nyingma Tantric literature is divided into three groups - the oral, the treasures and visions. These are further divided into two main categories. The Oral compromises mainly of Tantras and text belonging to the Maha Yoga Tantra and the Ati Yoga or Dzogchen cycle of Tantras. The Sakya tradition in Tibetan Buddhism is closely linked with the Khon ancestral lineage derived from exalted celestial beings. Khon Konchok Gyelpo, one of the main disciples of Drogmi Shakya Yeshe (992-1074), built the Shakya OR Grey earth Monastery in the Tsang province of Central Tibet. The school took its name from this famous monastery. 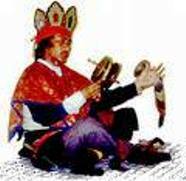 Khon Konchok son was a person of extraordinary spiritual attainment having the knowledge of all the Kalachakra, Tantra and Sutra teachings of Arya Nagarjuna and Virupa. Among his four sons Sonam Tsemo was a learned scholar with visions of meditational deities, who at the age of eleven gave his first Hevajra teachings. Chogyal Phagpa nephew of the Great Indian saint Sakya Pandita was invited by Emperor Kublia Khan of Mongolia in 1253 who invented a script in Mongolian language and thereby declared Buddhism the State religion. He awarded him with the three provinces of Tibet. He was succeeded by his brother Chagna and altogether the Sakyapas ruled Tibet for more than a hundred years ! The lineages of the Kagyu School of Tibetan Buddhism derived primarily from two sources...Marpa Chokyi Lodoe (1012-1099) and Khyungpo Nyaljor (978 - 1079). The former studied at the feet of 108 Spiritual Masters and received the cult of Four Commissioned Lineages of Tantric Teachings in India. He brought these teachings to Tibet and passed them on to his Disciple...Milarepa (1040-1123) who was the most celebrated Tibet's Tantric Yogi. Milerapa's illustrious disciple Gampopa (1084-1161) received the teaching and practice of the Great Seal (Mahamudra) and the Six Yogas of Naropa which was synthesised into one Buddhist sect...'Dakpo Kagyu' the mother religion of all Kagyu Schools! The Dakpo tradition gave rise to 4 major Schools..the Tselpa Kagyu, the Barom Kagyu, the Phagtru Kagyu and the Karma Kagyu. The Karma Kagyu was founded by the first Karmapa Dusum Khyenpa (1110 - 1193). This Buddhist lineage has remained strong and successful due to the presence of an unbroken lineage of Reincarnations. The Mahamudra the unique feature of the Kagyu tradition is based on the interpretations of Sutra and Tantra. These are aimed at understanding the depth of the human mind and although it varies in each school the basic approach follows the three stages of Foundation, Path and Fruit. Tantric practice unique to this tradition are the 6 Yogas of Naropa, Chakrasambhava and Mahakal practice. The present head of Tibetan Buddhism of the Karma Kagyu tradition is, His Holiness the 17th Gyalwa Karmapa Ogyen Trinley Dorje in Dharamsala ,India. Tsongkhapa travelled far and wide in search of knowledge and studied all the Buddhist traditions. Along with all his intensive studies he engaged in extensive Meditation Retreats...wherein he performed millions of prostrations, mandala offerings and often had visions of 'Meditational Deities' specially of Manjushri with whom he used to have spiritual debate. He was a great scholar, teacher and wrote 18 volumes of teachings. He passed away at the age of 60 entrusting his throne in Ganden to Gyeltsabjey, a tradition which is followed till today..! The 99th successor and the formal head of Gelupa is Ven. Yeshi Dhondup. The major Ganden Monastery was founded by Je TsongKhapa in 1409. By the turn of the 16th century this tradition had spread enormously as Tibet's political strength had grown with the Third Dalai Lama..Sonam Gyatso(1543-1588), bringing the 'Mongols' back to the religion of Buddhism. The Great Fifth Dalai Lama had complete Spiritual and Temporal rule of Tibet. He founded the Ganden Phodrang Government which continues to funtion under His Holiness the 14th Dalai Lama of Tibet in Exile in Dharamsala, India. What is a 'Buddha?' 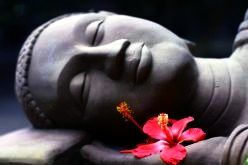 A Buddha is an exalted Enlightened Soul. He perceives the reality of all phenomena and has developed an eternal perception of compassion through meditation. In this state of Pure Dharma...all his Karma spontaneously benefits all sentinel beings. A Buddha in Tibetan Buddhism can be represented as 'Buddha Sakyamuni', a monk or as female deity 'Dakinis'. In an animal form he can be represented as a rabbit or an elephant. In Tibetan Buddhism ,in the Buddha's words people found their personalised Dharma and in the Bodhisattva's Karma the Enlightened Path for salvation of the soul. The teachings of the Buddha consists of eighty four thousand instructions on the afflictions of mankind and how to overcome them. These were kept in a condensed form in the three baskets of doctrine so called because the original palm leaf texts in India were kept in woven baskets after passing away of the Buddha. They were translated into four main Indian dialects including 'Sanskrit'. Later on they were translated into Tibetan, Chinese, Mongolian, Japanese, etc. 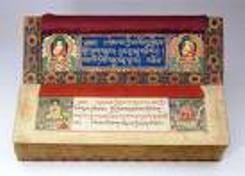 In the Tibetan canon the 'Kangyur' has 108 volumes of original Buddha's speech while the 'Tengyur' has 200 volumes of teachings by Indian scholars. People give respect to Buddha's Enlightened Mind..by building 'Stupas' in Tibetan Buddhism which represents all the pure aspects of all that is Buddha. In the buddhist kingdom of Magadha in India there was an old stupa which was reduced to a mere mound of earth. The Buddha it seems said that there were old sacred relics inside it and circumbulated it. From that time onwards 'every important event of Buddha's life such as His Birth, His Enlightenment and His Final passing into Parinirvana is marked by an erection of a 'Stupa'. According to Buddha's speech there are four kinds of relics which can be put inside a stupa. Mantras written on paper, the physical relics of a Buddha ( Hair, Nails or any personal objects). The relics of Buddha were divided into eight parts by his disciple and enshrined in Stupas in Eight Kingdoms. Incase of the Dalai Lamas the whole body was enshrined in sacred 'Stupas'!
" EIGHT AUSPICIOUS SYMBOLS OF TIBETAN BUDDHISM "
In Tibetan Buddhism, the white conch which coils to the right symbolize the universal sacred sound of Buddha's spoken words. It awakens mankind's consciousness from the deep slumber of ignorance and immorality! In Tibetan Buddism, the holy umbrella symbolizes the spiritual perservation of 'Dharma', of protecting all mankind from illness, harmful forces and immorality. It also gives a protective shelter to those following the Enlightened Path of Good Karma! In Tibetan Buddhism, the Vicory Banner symbolizes the absolute victory of an Enlightened Mind and Buddhist Doctrine over all obstacles, harmful and pernicious forces! In Tibetan Buddhism, the Golden Fish symbolizes the liberation of spiritual Energy and emancipation of the Buddhist Soul. Just like a fish never drowns in deep water, so does mankind..if it is in a state of pure Buddhahood can conquer all satanic forces and universal sufferings! In Buddhism, the Golden Dharma Wheel symbolizes the auspiciousness of Unity of Buddha's Enlightened Mind and Realisation of his Actions.! In Buddhism, the Endless Holy Knot symbolizes the auspicious mutual interdependence of Religious doctrines and secular affairs. The complete union of Wisdom, great Compassion and Love in its purest form of inseparable loyalty. In Buddhism the Holy Lotus symbolizes the Pure exalted state of Buddha Sakyamuni's Mind, Body and Speech. The full blossoming of Dharma in blissful Liberation from all evil and defiling forces! In Buddhism, the Holy Vase symbolizes the eternal rain of Long life, wealth and prosperity and all the benefits and rewards of this universe and Liberation! 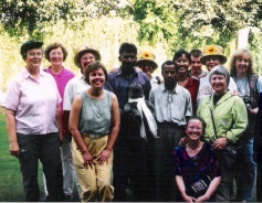 Today there are many International Tourist groups who come to enjoy Neo Buddhism in Dharamsala India for their personal growth and take back the sacred teachings of the Universal Dharma Guru...Buddha. We have organised vacations for the Individual Travellers, the Students and the Celebrities and along with them we have also grown. **Some of our most rewarding memories are of the eight Group Series of 'Nouvelles Frontieres' - France. We spent four days with Mr. Didier Priou the Product Director in his familiarisation trip of this Dalai Lama Abode. He was apprehensive to shift the Groups to Dharamsala from Kashmir which had problems. We could not let him down. We decided to organise a Tour which could combine well with the ancient Buddhism of Ladakh where the groups were travelling after Dharamsala. Not only did the Group Members appreciate Dharamsala, they also enjoyed Ladakh much more because of a better understanding of Tibetan Buddhism...We will always thank our Lord Ganesha for sending Didier to us !!
" We really enjoyed the scenic local views of Dharamsala and learning about Buddhism. My Group members and myself liked the Sun Temple, Tibetan cuisine and Tibetan medicine. We wish we had more days to stay in Dharamsala!" **Buddhism..Personal Growth..Study Tours..Contact us..Click the Graphic below..
For more study on Tibetan Buddhism, Teachings, Kalachakra Puja go to Dalai Lama-Dharma !